With the $7.2bn acquisition of Nokia’s mobile phone business, Microsoft is forging ahead with the vision set out by CEO Steve Ballmer, to focus on hardware, software and services. The timing of the deal is significant. Last month, Ballmer announced he would be retiring. Given that Nokia chief Steven Elop was once poised to take the top spot at Microsoft, some industry experts believe the Nokia deal puts Elop at the front of the queue to be the next Microsoft CEO. Writing on the Seeking Alpha financial website, one hedge fund manager wrote: “Elop has been working with Windows Phone right from the start and he is in a unique position to understand the strengths, weaknesses and possible improvements required in Microsoft's mobile ecosystem from both the hardware and the software side. Beyond the big question over the next CEO, what has Microsoft acquired? Annette Zimmermann, principal research analyst Gartner predicts that BlackBerry would be the company left most vulnerable from the acquisition. “Now Microsoft has a reason to be aggressive in the enterprise. This is pretty much it for BlackBerry,” Annette Zimmermann said. While Microsoft’s acquisition has the potential to establish the Nokia-based Windows-powered smartphone in the enterprise manageability, she said the consumer market is influencing enterprise strategy. “We cannot look at business IT without looking at consumers and so Microsoft needs to appeal to consumers,” said Zimmermann. The uptake of the Nokia smartphone has been much too slow for the Microsoft Windows Phone Platform. According to Forrester analyst Thomas Husson, Microsoft/Nokia is still a relatively small player in the mobile market. This has an affect on company initiatives to support the platform by developing apps. 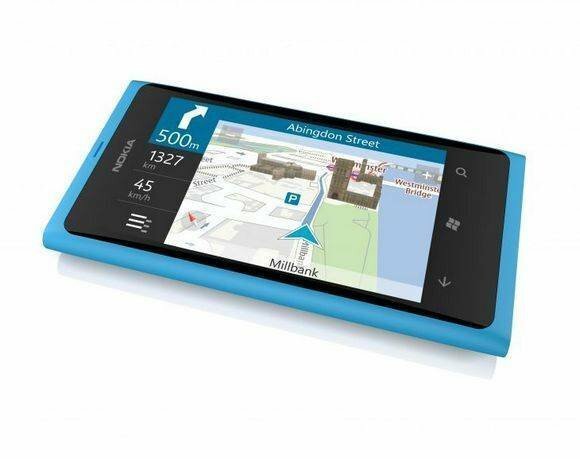 So will Microsoft try to emulate Samsung and Apple by broadening the appeal of Nokia smartphones among consumers? He says Microsoft is attempting to 'recreate Apple' by combining its software and hardware under one roof. According to Basta, keeping up with Apple is not likely to succeed. “Microsoft needs its own strategy in the marketplace, and Nokia alone will not deliver that strategy,” he said. But does Microsoft really need to emulate Apple? Given that more than a third of the online population already use services like Google and Facebook, if Microsoft is looking to build a hardware plus services business, it must either try to grab share from existing players or target developing markets. “No one is dominating the developing markets,” Cripps said. “At some point in the next 20 years there will be billions more people in the developing world going online. There is a lot of head room to change in developing markets so preparing for that and having a presence early on." For the short term, Cripps said Microsoft will struggle to win over consumers given mobile phone companies limit their product range. “Carriers are very precious," he said. "We hear from smaller device manufacturers that they are likely to find only one slot in the operator’s product portfolio. Nokia may be considered a smaller player." “Both Windows Phones have been largely aimed at consumer with media centric apps and services,” says Ian Fogg, an analyst and director, mobile and telecoms at IHS. Although Microsoft has made significant changes to the innards, such as merging the Surface RT OS kernel with the Windows Phone OS kernel, outwardly, not much has changed, according to Fogg – which is not good news for consumers. But despite having a common kernel, apps are not compatible across platforms, he said. So unlike the PC era, where there was one common platform and a Microsoft software and hardware ecosystem, it is hard to see how Microsoft can tie hardware, software and services together. Perhaps platform compatibility will become less important. Warwick Business School assistant professor of strategy Ronald Klingebiel belives HTML 5.0 will make the choice of actual smartphone devices less relevant. “Smartphones will turn into mere windows to the cloud. There will be little that differentiates one black, rectangular touchscreen phone from another, besides perhaps screen quality and battery life. Handset manufacturers without a suitable software platform in the cloud stand to suffer and Nokia is right to divest of its phone business. "BlackBerry should do the same. As for Microsoft, it remains to be seen whether it can leverage its still significant strength in desktop operating systems and software and migrate its customers to the mobile cloud,” said Klingebiel.